or 4 payments of $22.50 . This Deep Water Culture DWC Grow Kit is a hydroponic system for growing up to 6 plants from seedling to harvest. Also known as Bubbleponics (Hydroponics with Bubbles! ), growing with DWC is one of the simplest and easiest ways to grow. No more messy potting mix, just clay pebbles, air and water. Simply plug your air pump in, and the oxygenated and nutrient rich water provides the perfect growing conditions for your plants. This kit has a tank capacity of 32L, however around 20L is used for water and nutrient solution. It comes with net pots, clay pebbles, a decent sized air pump and long air stones. The air stones stretch along the bottom of the tub and to all of the plants are receiving oxygen. The hard work of drilling the holes correctly in the lid has already been done for you! 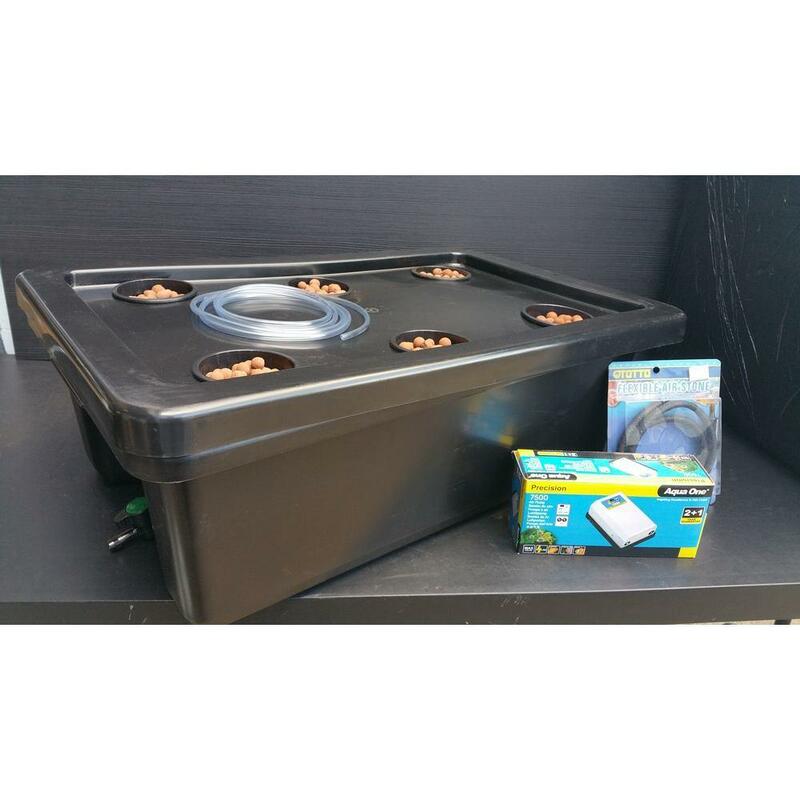 Aqua Gardening includes Powder Feeding Grow Nutrient with this kit - so there's nothing else you'll need to get started except a power point within a few metres of the unit. Use half a sachet with each fill of water, and there are 4 sachets included. 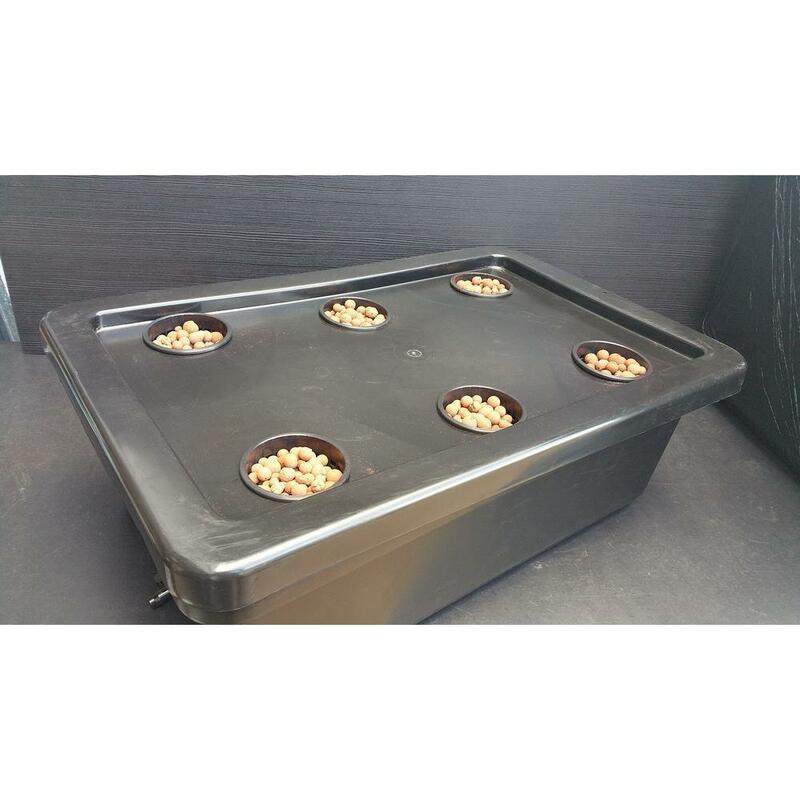 DWC is quickly becoming one of the most popular hydroponics methods for growers everywhere. DWC operates without a separate reservoir, the plants roots actually live inside the water within the reservoir. The dissolved oxygen level is maintained at close to 100% through constant aeration, so the roots have a constant supply of air as well as water and nutrients. It is simple to set up and promotes healthy plants that require little maintenance.